How to Become a Sheriff in New Jersey? How much does a sheriff make in New Jersey? New Jersey has 21 counties, all operating under the Sheriffs Association of New Jersey. 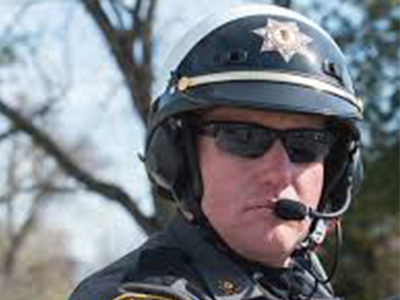 The Association aims to protect the citizens of the state by promoting and preserving the Office of Sheriff in New Jersey. It helps sheriffs across the state effectively fulfill their duties as the chief law enforcement officers in their county. If you want to become a part of this prestigious community, continue reading. The job requires overseeing an entire county, along with the entire department, HR concerns and security concerns in the area. Therefore, a lot of training and education is needed to become a sheriff. Moreover, since it is a leadership and administrative position, you will need to put in a lot of hard work in preparing for the job. If you are interested in becoming a sheriff in New Jersey, have a look at the following requirements, steps and salary data. Disclaimer: Since the position of a Sheriff is a county-level concern, the exact requirements to become a sheriff will vary according the county you are applying in. Even though the general requirements are pretty much the same around the state, the specific needs may be different for each county. Therefore, you are advised to do your research in detail and visit the local courthouse or your county’s official website before applying. The following information needs to be treated as a general guideline. Candidate must be a US citizen: If you are in the process of getting your citizenship, you will have to wait till you get it to apply. Candidate must be at least 18 years of age: Some counties might put the minimum age limit at 21 years, but by-and-large, 18 years is considered to be cut-off age. Candidate must have lived in the area he or she wants to become the sheriff of: The residency requirement might be different for different counties. Most counties would have this requirement in place to ensure that the candidate is well-aware of the conditions of his jurisdiction and understands the common concerns. Candidate must have at least a high school diploma or GED: This is the minimum educational requirement and would be applicable to all counties across New Jersey. Candidate needs to be in a good shape: Since the job of a sheriff can be physically and mentally demanding, applicants are required to maintain optimal health. If needed, you might want to start exercising to prepare for the application process. The process of becoming a sheriff is a long and detailed one – so buckle up! This is mandatory and nearly all counties would require this. Some counties might have their own training programs as well, in which case, you might be able to skip the police training academy. The purpose of this training is basically to help you develop skills such as the use of firearms, crowd control techniques, arrest procedures, witness questioning methods and so on. You will need to have a few years of experience working in the law enforcement sector, before being eligible for the position of a sheriff. Experience requirements may also vary from county to county – some counties might have a one year experience requirement, while others might need more than 5 years of work in any law enforcement capacity. You may also have to get a police officer certification or licensure. Even though most counties would not have this as a mandatory requirement, having a higher degree, such as a bachelor’s degree in criminal justice, would help you set yourself apart from other applicants. In addition to that, a college degree would also increase voter confidence in you, as they might feel that you are more qualified for the position. For this, you will need to visit the county courthouse and follow the proper procedure for submitting all your paperwork, before the deadline. You will need to spend some time planning out this part of the process. Put together a capable team to help you spread you message across the county, put up fliers and manage the campaign fundraising activities. Campaigning, even at the county level, is not an easy task, since there would be several other candidates and competition is usually stiff. If you win the elections, you will have to take an oath and sign a contract. You may begin your four year term as the county sheriff after this step. According to May 2017 data from US Bureau of Labor Statistics, Police and Sheriff’s Patrol Officers made an annual mean wage of $83,570. This is quite high, as compared to the national mean annual wage of $64,490. So the prospects in New Jersey look bright for aspiring law enforcement officers, including Sheriffs.